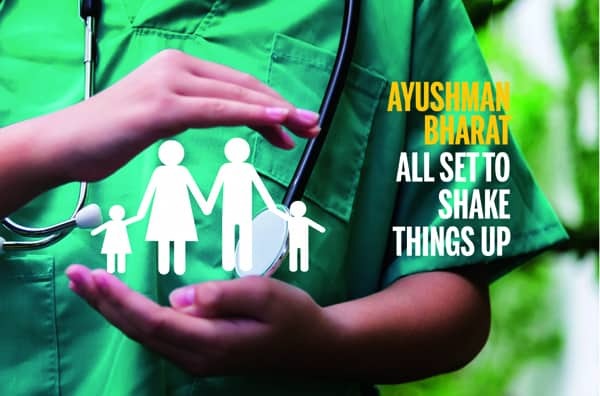 The government’s big-ticket reform – Ayushman Bharat – Pradhan Mantri Jan Arogya Yojana (PMJAY), is all set to take flight. The first phase of the world’s largest health insurance plan will be rolled out in 14 states and two union territories on September 25. The programme intends to change the healthcare landscape of the country by providing a insurance cover to 10 crore households, i.e. 50 crore individual beneficiaries with INR 5 lakh per family per year. The ministry officials handling the scheme tout it to be a revolutionary scheme and a boon for the Economically Weaker Sections (EWS) who are usually pushed into a debt trap due to healthcare costs. The services include more than 1300 procedures that covers pre-and post-hospitalisation, diagnostics, medicines etc. Beneficiaries are able to move across borders and access services across the country through the provider network seamlessly. Though the scheme looks optimistic, healthcare experts indicate that nationally mandating a health insurance system needs to improve the quality of government infrastructure pan India and offer better opportunities for the private sector at a right price. The central government is trying to align with state governments and woo private players. The PMJAY is trying to create a major shift in reshaping the horizon of public healthcare space, but the proof of its success lies in its implementation.